Sanaa’ Jazmyn Jones has a proud grandmother, Kathy Herring, who sent me this photo of her granddaughter. Sanaa’ has several roles in The Santa Diaries, including that of Emma. Acting, singing, and dancing since the age of four, Sanaa’ enjoys listening to music and singing. She attends Deer Park Middle Magnet School where she is enrolled in the Level 1 Theatre Arts Class, and is passionate about pursuing an acting, singing, and dancing career. 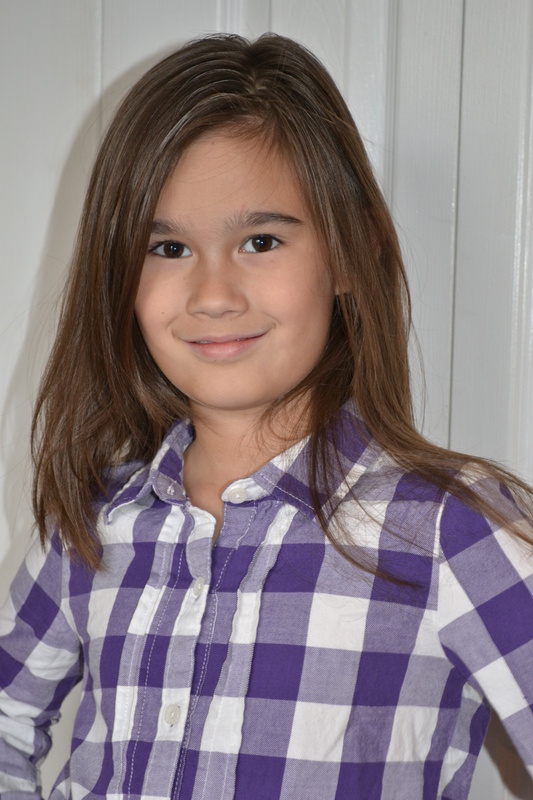 Elizabeth Feuerbach (Lizzy) has been cast as Marley in The Santa Diaries. 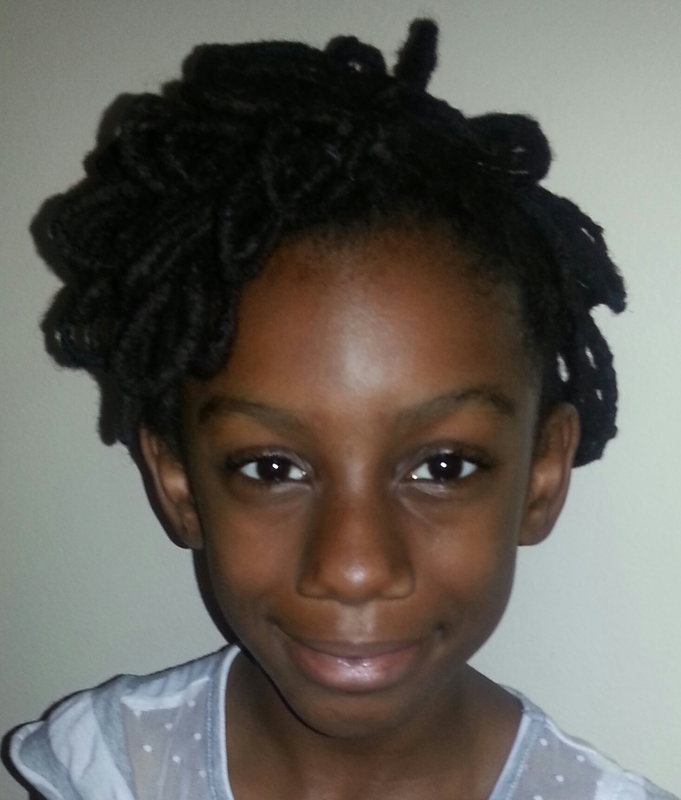 Lizzy, age thirteen, has appeared in many productions as part of the Catonsville Children’s Theater (now the Dragonfly Theater), most recently as Patty in Grease, as well as other productions in Columbia. Lizzie is spending this year homeschooling and excels at math. She studies dance at Turning Pointe Dance Academy, including ballet, tap, jazz, lyrical, and, as the audience will see, hip-hop. She also studies voice and hopes to pursue a career in theater. Photo below shows Lizzie with playwright Laura Ambler at a recent rehearsal. Come see the show. It’s going to be great. Performances dates are as follows: Friday, December 6th and 13th at 8PM; Saturday, December 7th at 2PM and 8PM; Saturday, December 14th at 8PM and Sunday, December 15th at 2PM. The venue is Glyndon United Methodist Church, 4713 Butler Road, Glyndon, MD 21071. For tickets visit the Liberty Showcase Theatre website at http://www.libertyshowcasetheatre.org/. Today is a day to be thankful for many things. One of them is community theater and the people who work so hard to bring live theater art into our lives. 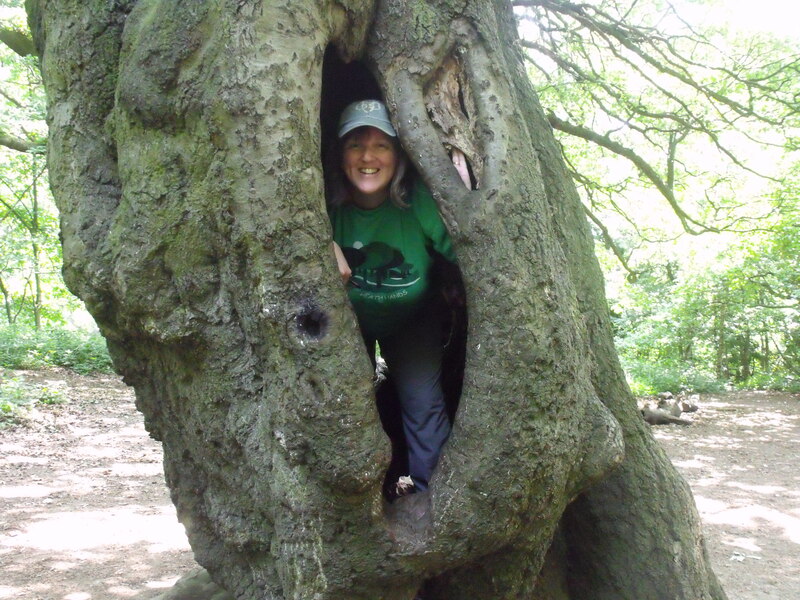 I blogged recently about how impressed Laura and I were that so many people do so much more than perform. It takes a lot of people to get a play to opening night and one of the important tasks is getting the word out about the show. 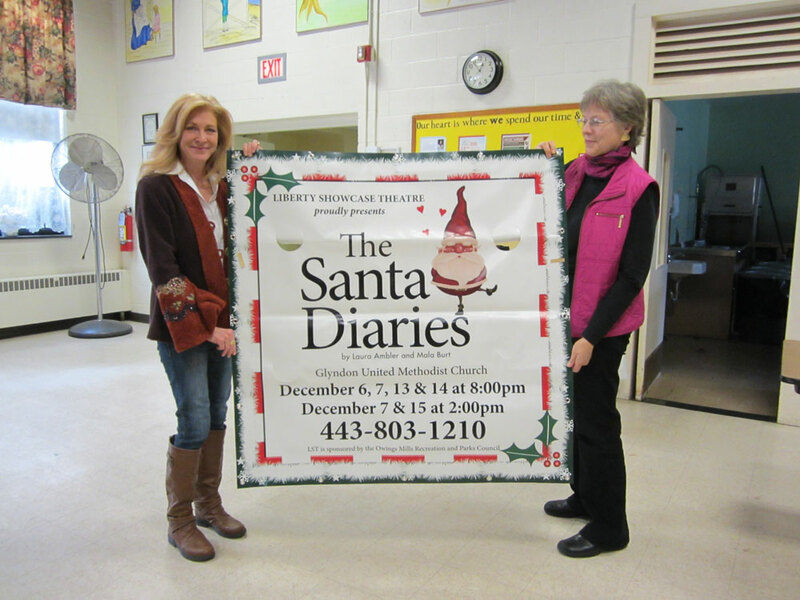 Thatcher and Melita Brinton have two small daughters in the show and have generously donated signage made by their company, Signs by Tomorrow (Timonium location). We are thankful for the Brinton family. The two-sided yard signs, one held above by Lori Chapman, are a brilliant idea. They get information about the show into neighborhoods. We are thankful for Lori and all the others who will spend Black Friday hanging the show. Here Laura and I are holding one of the street banners. How cool is that! I am thankful to have such a wonderful writing partner. Laura Ambler is my BBF. Thatcher and Melita Brinton, like other parents of kids in the show, know that driving and waiting are a fact of life when you have kids interested in theatre. But they, like other parents, are doing more than just that, and I wanted people to know about their business located at 2105-B Greenspring Drive in Timonium, MD. Check out their website to see everything they do, and if you need their services, consider sending them your business. The Brinton’s can be contacted at timonium@signsbytomorrow.com or by phone at 410-252-8235. 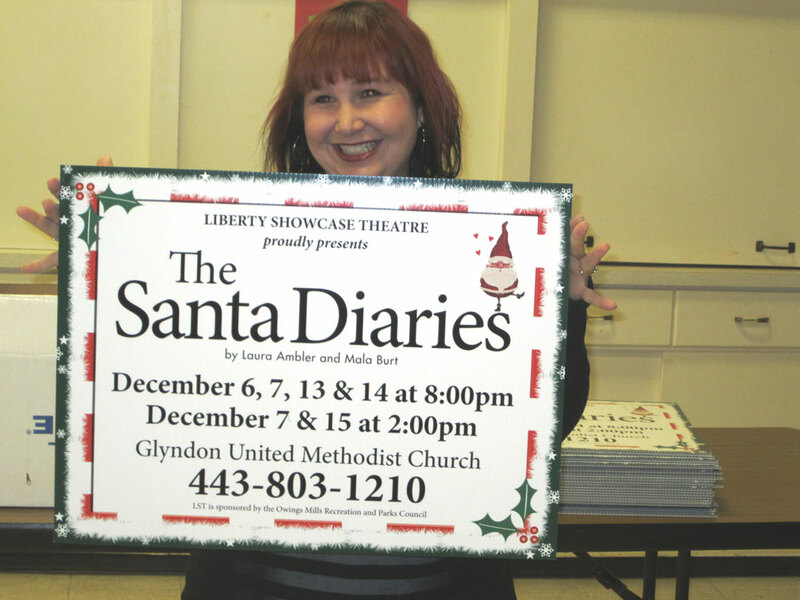 I am thankful for Liberty Showcase Theatre and it’s production of our play, The Santa Diaries. The Chapman family is not the only family to have multiple generations involved in the current production of The Santa Diaries. Kimberly Lohrfink tells me that their family first got involved in theater in 2004 when older son, Nick (now married and out of the house), was cast as Daddy Warbucks in his school’s production of Annie. As Nick went through high school, he was in various productions, and the acting bug took hold of the whole family. The kids became involved with STAR, LTD., a community theater in Relay, MD, in 2007 – Nick was 16, Sarah was 8 and Philip was 4. 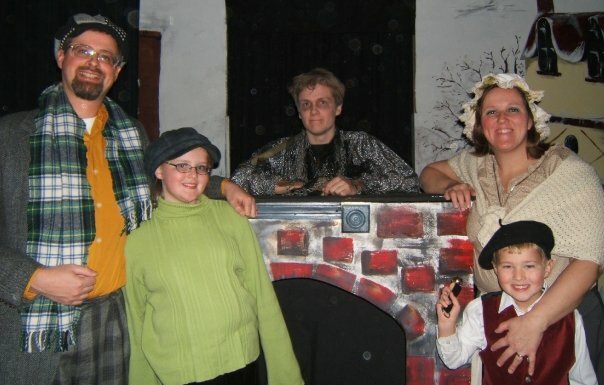 In 2010, Sarah and Philip were both cast in St. Gabriel’s Miracle Player’s production of Wonderland. 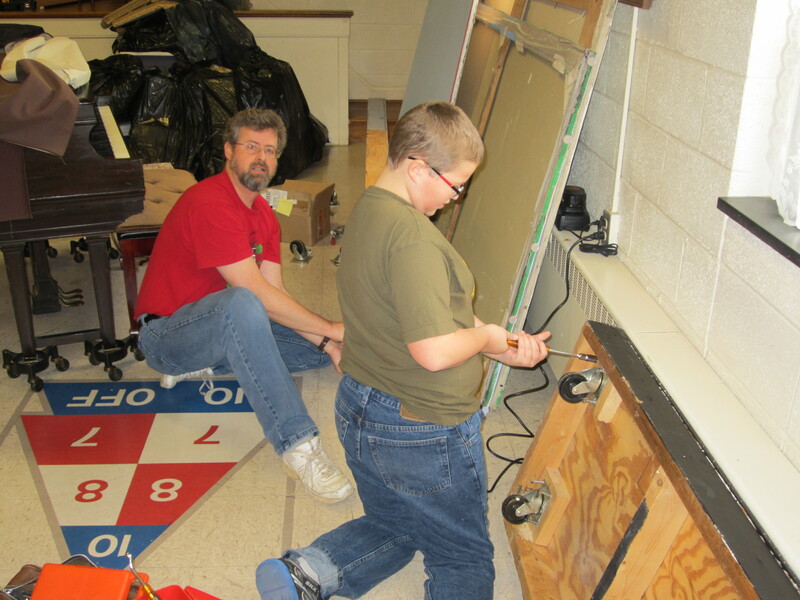 Kimberly was again behind the scenes as the Stage Manager for that show, and Dan helped out with lights and sound. 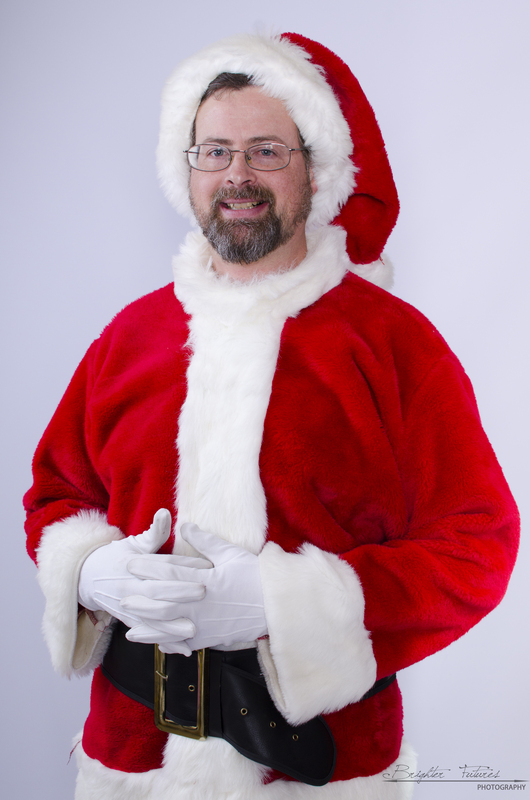 In this production of The Santa Diaries, Dan Lohrfink fills the role of Sandy Hawes, the small-town Santa who comes from a long time of Santas and hopes his son, Will, will put on the Santa boots. 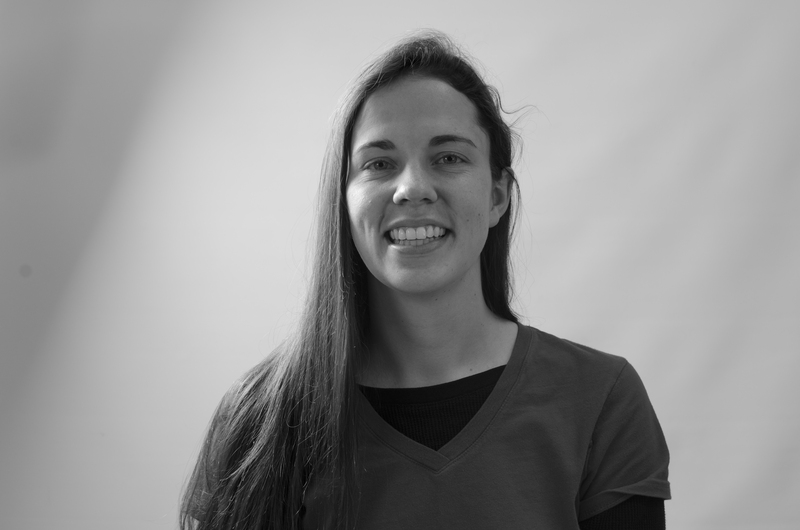 Kimberly Lohrfink is playing Edna (one of the Casserole ladies) and also appears in the ensemble cast. Offstage, Kimberly works as a Program Director for Johns Hopkins CTY, volunteers as a Girl Scout leader, chauffeurs her kids to their various activities, and she makes the BEST sweet potato casserole. Can we get the recipe, Kimberly? Dan and Kimberly’s son, Philip, is a 6th grader at St. Agnes School. 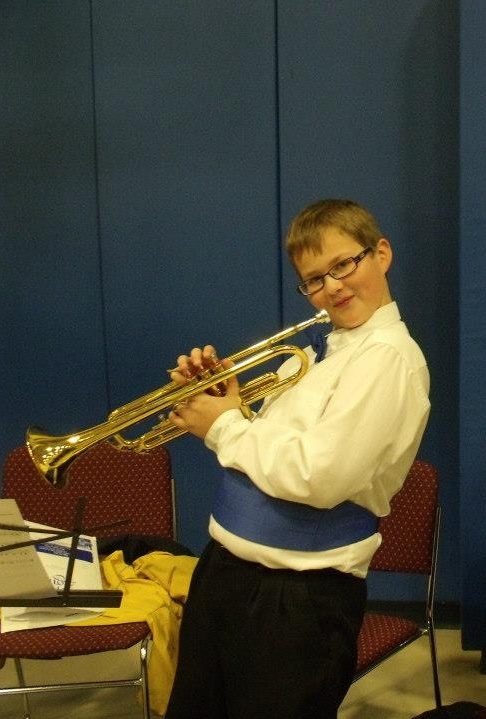 He enjoys playing the piano and trumpet and singing. He’s in his school choir and band. Clearly this kid loves the stage! His previous roles include Colin (Secret Garden), Tiny Tim (Scrooge and Marley), the Red Knight and the Lion (Wonderland). In his free time, Philip enjoys Origami, drawing and Legos. 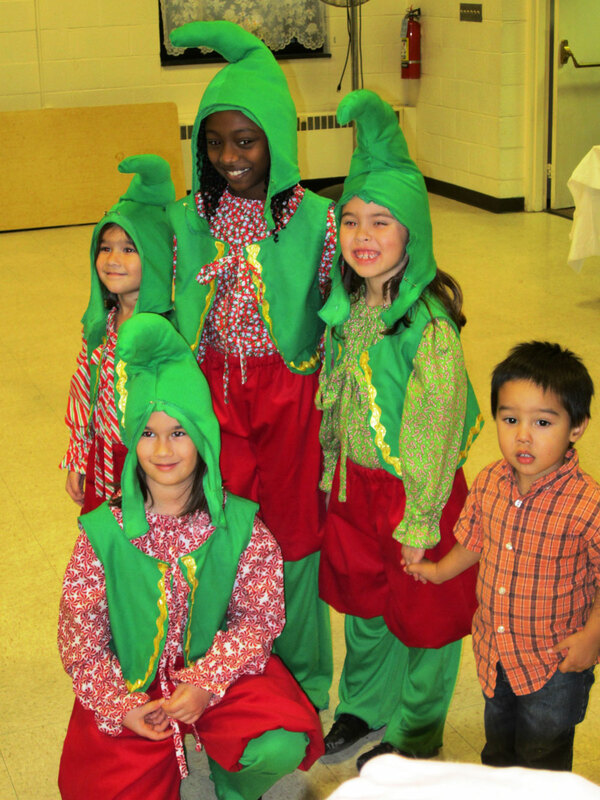 In The Santa Diaries production he is playing Boy Ebenezer, and five different ensemble roles. Keeping track of those costume changes is going to be a challenge. High school Sophomore, Sarah Lohrfink has been cast as Rose, along with two other ensemble roles. Sarah is no stranger to the stage. She’s been involved in theater since she was eight. Previous roles include Biddy Haggerty (The Ghost of Rhodes Manor), Little Boy Blue (Babes in Toyland), Ruth Taylor (Don’t Say No to the USO), Captain Bree (Lady Pirates of Captain Bree) and Alice (Wonderland). 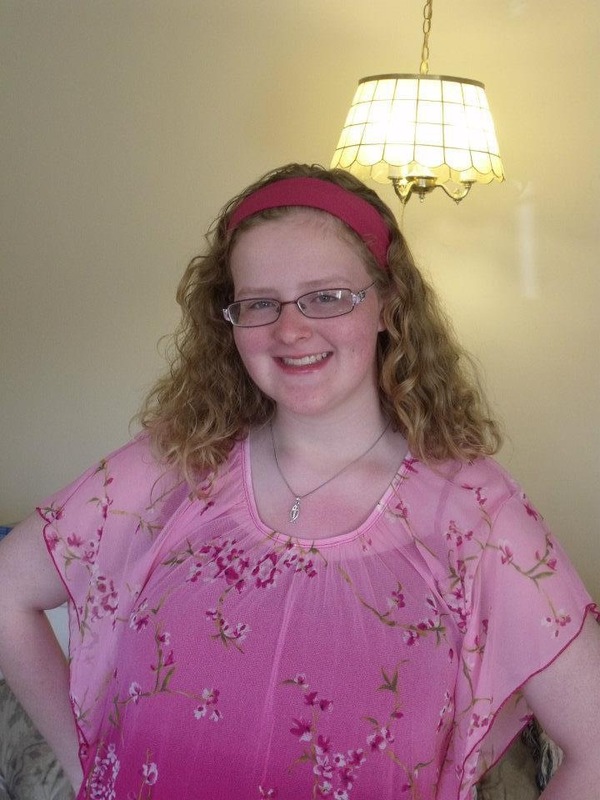 In addition to theater, Sarah enjoys singing, and she plays flute in the TCHS Band. Her dream is to someday be on Broadway. Due to schedule conflicts, jobs, etc., the Lohrfink family has not been able to all do a show together since 2010 – until now. Sarah, Philip, Dan and Kimberly are having a great time taking the stage together again in The Santa Diaries. One of the themes of our play is family coming together. What better way than parents and kids participating in this wonderful family show! 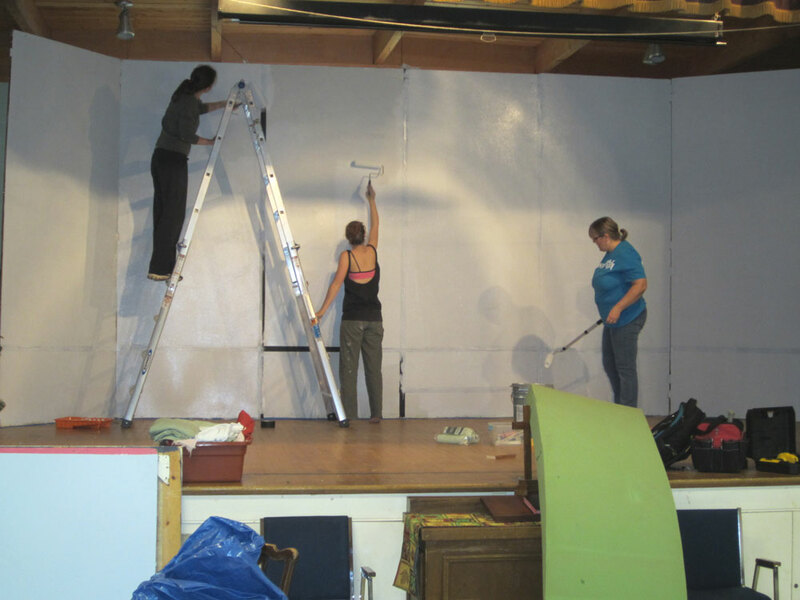 In community theater you must accommodate your play to the available talent pool. In the Avalon production last year, we had two male and one female firemen who were part of the play’s community theater. Liberty Showcase has a woman fireman, too. Her name is Sara Hampt and she is playing Woody (now Wendy) in the Liberty Theater’s production of The Santa Diaries. 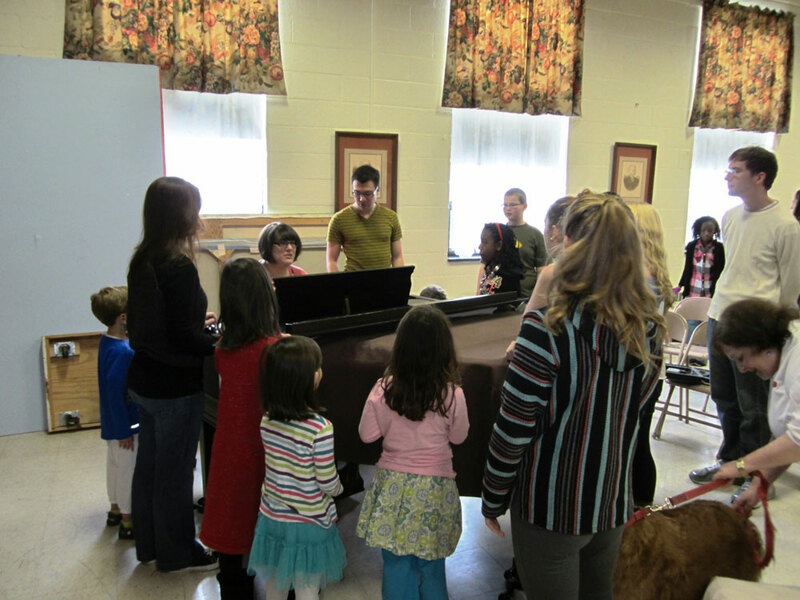 Sara is in her 7th year of teaching music in Baltimore County. An active member of Glyndon United Methodist Church, she leads worship for their early morning worship service and sings in the choir. This is her first return to musical theater since her performance in The Boyfriend her senior year of high school (that play originated on Broadway with Julie Andrews playing the role of Polly). Sara says she’s excited about this opportunity and hopes to take part in future Liberty Showcase Theater productions. One of my favorite parts of our play was seeing the kids blossom as they become more confident in their roles. During rehearsals last year I was in awe of the adults in charge of the kids. 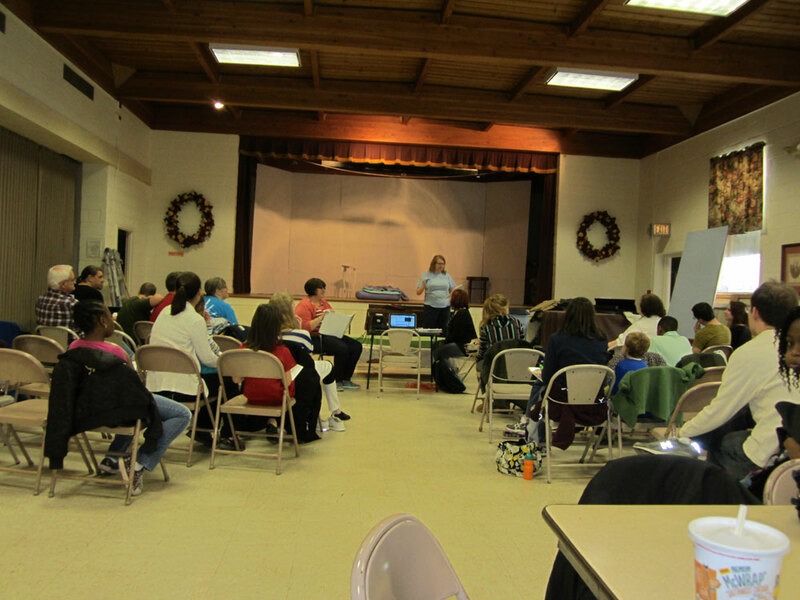 It was like herding cats, but the minders kept the kids on task and made being in the play enjoyable. Some of the older kids had been doing Avalon plays since they were little guys. This happens in every community theater. Sometimes those kids are like Lori Chapman who came back as one of the Liberty Showcase Theatre’s directors and whose children are in the show. 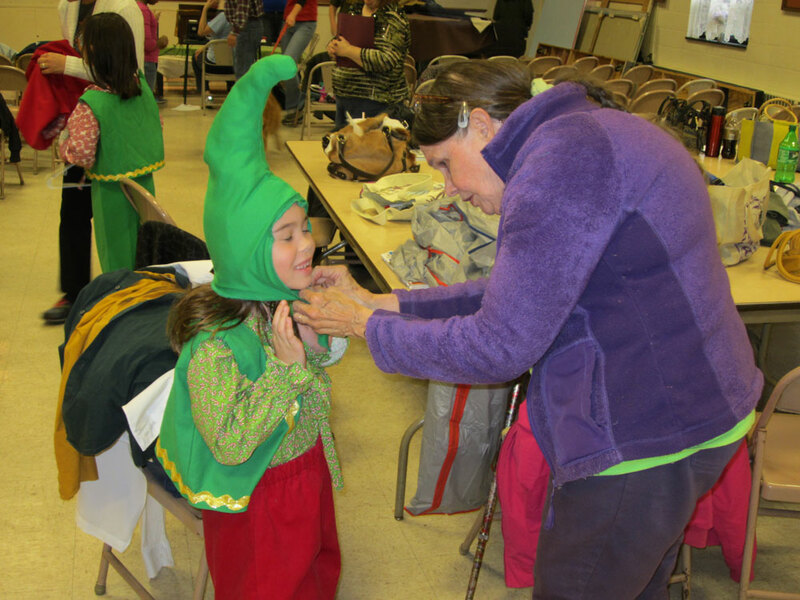 Because it is community theater, roles sometimes have to be switched up to allow more kids to participate. In the December 7th, 2pm production, the role of Timmy becomes the role of Tammy and will be played by Makenna Brinton. This summer she acted and danced as Princess Phailin in GAP’s, The King and I. Makenna has studied with Baltimore Actors’ Theatre Academy, Pumpkin Theatre and Karen Sachs Dance Academy. Her passion is singing, dancing and dreaming of Broadway. When she’s not playing Tammy, Makenna will be on stage as a ballerina/Elf. 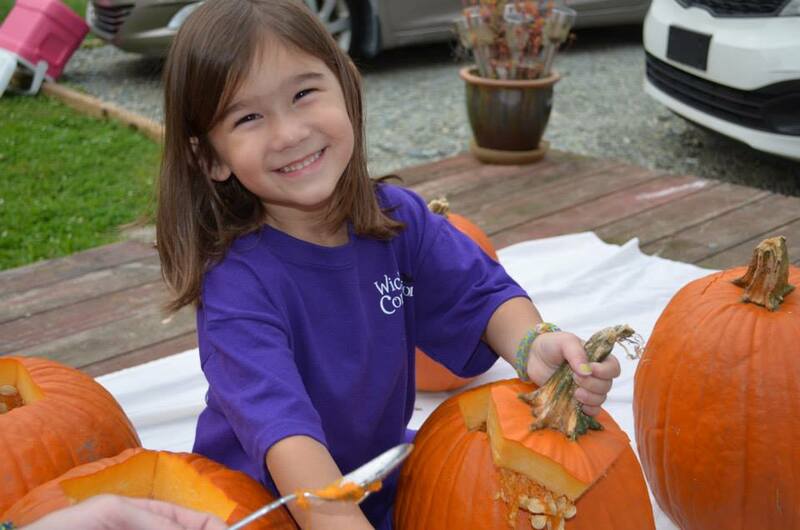 Makenna’s younger sister, Tessa Brinton, who just turned five, will also be a ballerina/Elf in this production. She is currently in preschool and is thrilled to join her big sister on stage for the first time. Her mom, Melita, says her young daughter loves being front and center. Tessa loves riding her bike, singing, dancing and is always full of energy. These girls are going to shine on stage. The changes needed for each production are what keeps the play fresh. 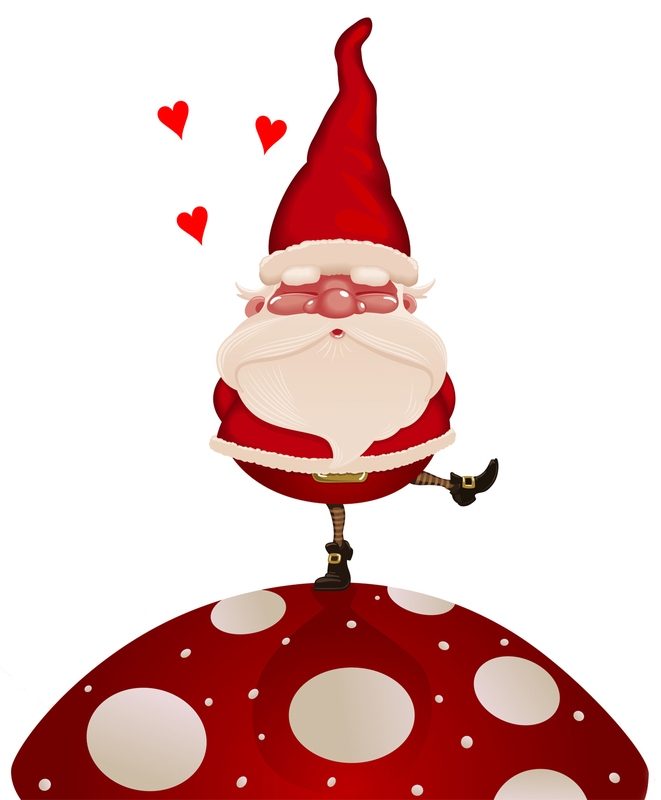 Who can resist little ballerinas, adorable elves and firewomen? A child and a stuffed dog are just two of the characters in The Santa Diaries who begin to penetrate Will Hawes emotional armor. Timmy Darling has a problem and it’s one to which Will can relate. Other people know about it, but Timmy only confides his feelings to his stuffed animal, Marley, a toy from which he is inseparable. As Will lets Timmy in, he becomes a mentor and protector of this little boy who, at the beginning of the play, is afraid of Will. And as Timmy let’s Will into his life, Marley can occasionally be relinquished. 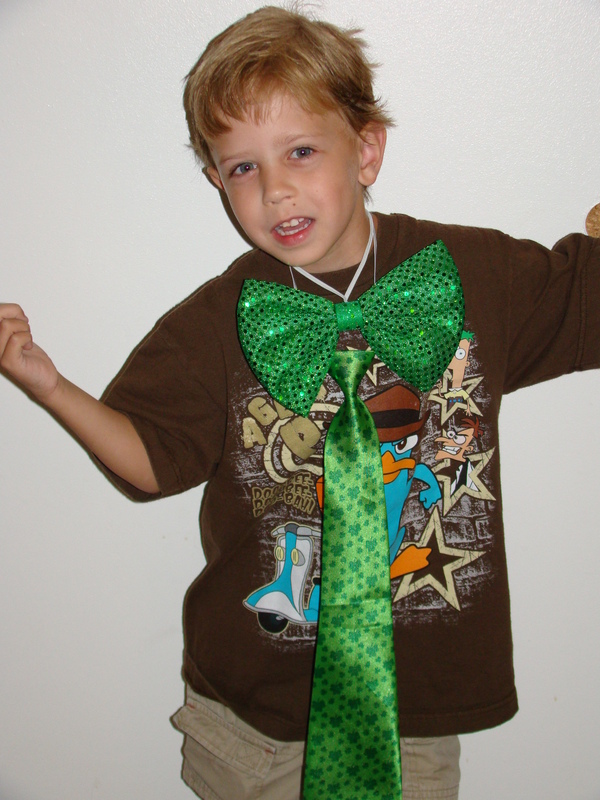 James Stranger, age 6, is playing Timmy in the upcoming production of The Santa Diaries at Liberty Showcase Theatre. This is his first play and his mom, Michelle, tells us he loves to entertain. A first grader at The Chatsworth School in Reisterstown, James takes ballet and tap classes and it was his dance teacher who recommended he audition for the role of Timmy. Mom says he is very excited and loves practicing his lines! In his free time, James likes playing with friends and dressing up in a variety of costumes. “He’s always wearing something crazy,” his mom says. We like his style! James is only the second person to play Timmy and he’s going to bring his own charm and enthusiasm to the role. For staging purposes, Marley, the stuffed animal has to be big enough to be visible from the back row. And since there are several scenes when Marley comes to life and is a costumed actor, the stuffed dog and the dog costume have to match. At the Avalon Theatre last year, a Dalmatian was chosen and a costume with detachable head was purchased. 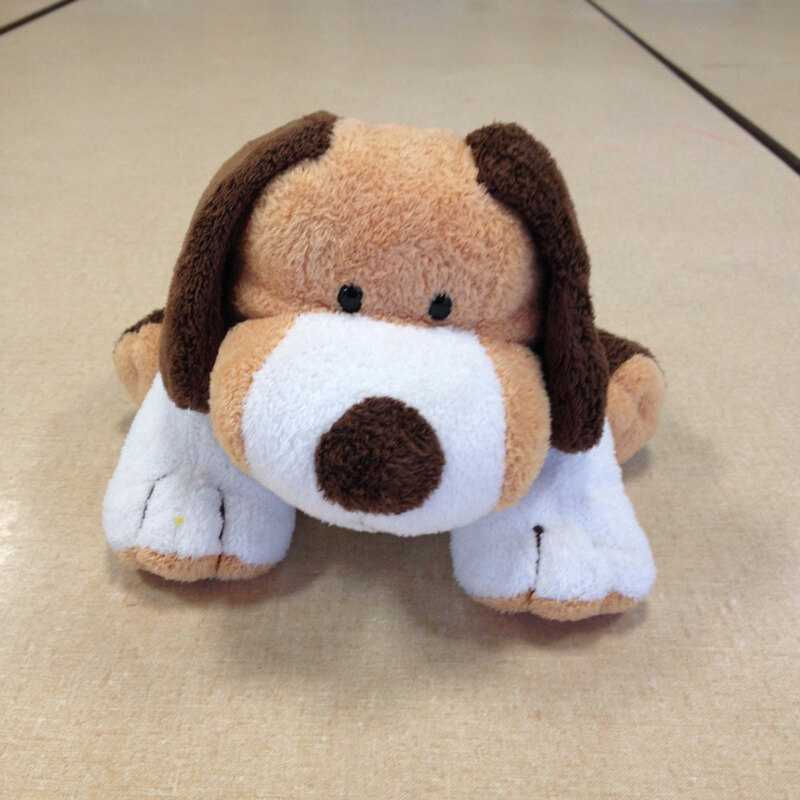 Liberty Showcase switched things up and chose a lovely brown dog with floppy dark ears and white paws and snout. A costume is being made for the actor who plays Marley. I’ll post a photo when I can. Laura and I will be attending a rehearsal of the show on Saturday, November 23. That’s just two weeks before the opening. We remember how chaotic things were at Avalon rehearsals last year around the same time. It’s the time when you think there’s no way everything can come together. There’s a reason live theater is called DRAMA! But then it happens – the lights go up and magic happens. Performances dates for The Santa Diaries are as follows: Friday, December 6th and 13th at 8PM; Saturday, December 7th at 2PM and 8PM; Saturday, December 14th at 8PM and Sunday, December 15th at 2PM. 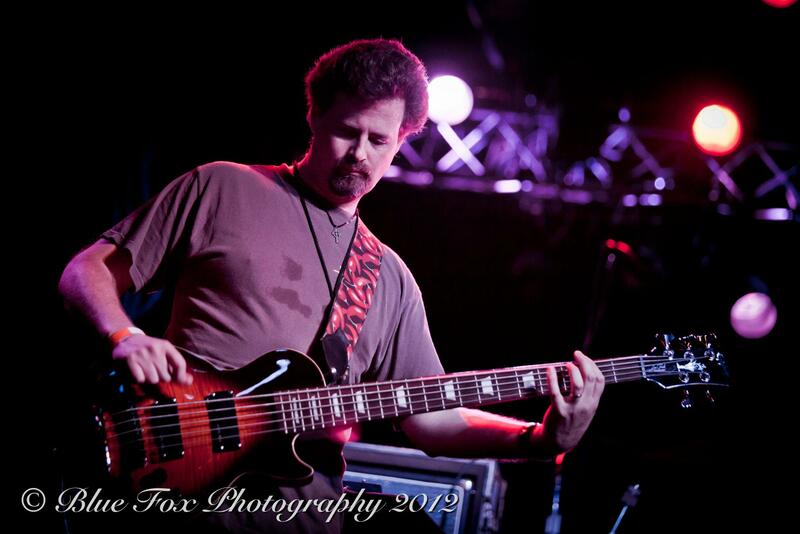 The venue is Glyndon United Methodist Church, 4713 Butler Road, Glyndon, MD 21071. For tickets visit the Liberty Showcase Theatre website at http://www.libertyshowcasetheatre.org/.